MessyJesse - a quilt blog by Jessie Fincham: Fratelli Bassetti Tessuti - Rome Fabric Store! Fratelli Bassetti Tessuti - Rome Fabric Store! So before heading out to Rome to soak up the history and sights of the city, I couldn't help but do a quick google search for a fabric shop I could visit while on my travels - hey, it's normal for fabric obsessed people like us, right!? 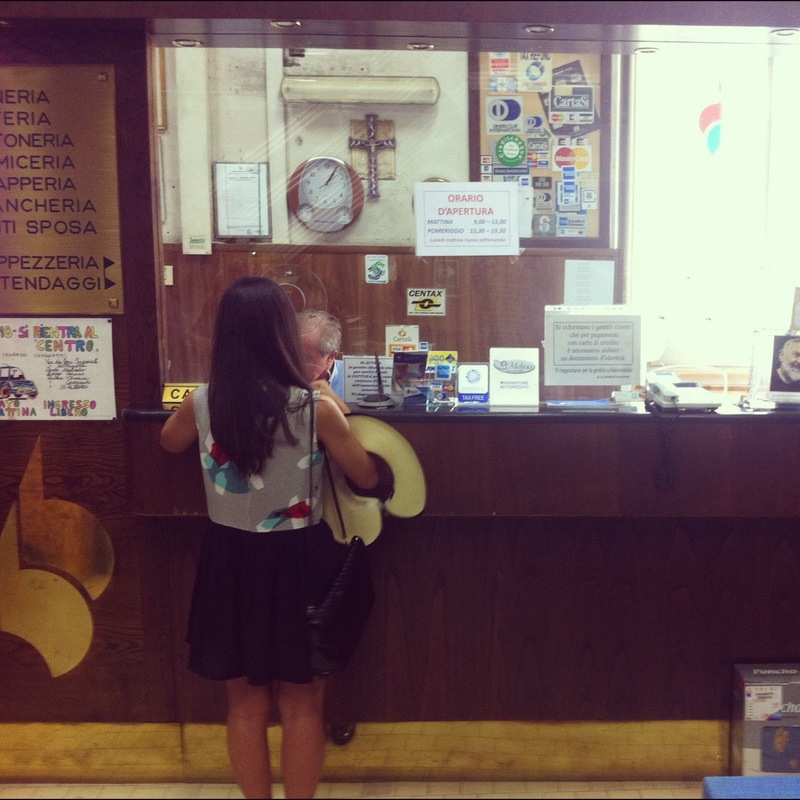 My online quest brought me to a place called Fratelli Bassetti Tessuti, so I wrote down the address and en route for our day trip to the Vatican City we found it! and yep, it was certainly well worth the visit!! The place was PACKED! with fabric, I couldn't even take in how much was there! We walked through what felt like endless rooms of fabric with bolts and rolls of fabric packed from the floor to the ceiling - double height ceilings ok! 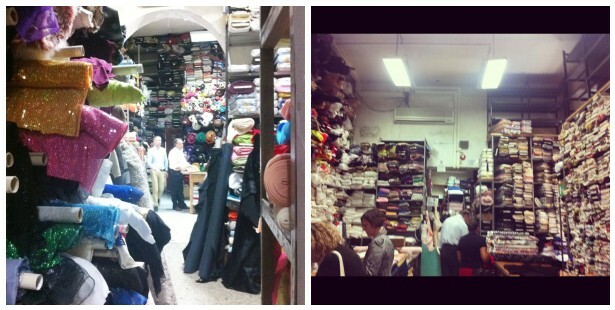 Everything from a *room* of shirting fabrics, to another *room* for wools, suiting fabrics, cottons, stretch, silk, beautiful wedding lace - you name it they had it! They also carried designer fabrics such as Versace and Roberto Cavalli to name a couple, they looked amazing! It was such an interesting place to people watch too! all sorts of people eyeing up the fabric for their next tailoring project. After shopping with my jaw to the ground for about fifteen minutes, the lights went out and we were hurried out to pay (if you look at the clock in the picture above you will notice it was lunchtime, ha! oh and that's me in the pic too!). I had to go through a series of kiosks like a drive-through to pay for my fabric - which was of course great fun when you don't speak Italian, and they don't speak english! P.S. don't forget to enter my free fabric bundle giveaway here, in celebration for my Sew and Quilt fabric shop opening, the competition closes tonight! What a fabulous place! Fabric transcends all languages, I think. 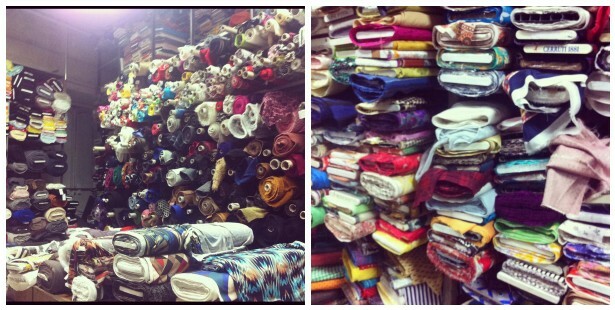 Oh, that looks like my type of fabric heaven! Look forward to seeing your fabric! That sounds like an exciting adventure!! Sometimes, those kind of stores can be a bit overwhelming - but a wonderful kind of overwhelming. Thanks for sharing. It is a wonderful store. I have some Versace fabrics I purchased there which I look at and drool over. Perhaps they will ever be cut and created into something. Yes Its such fantastic and amazing fabric store. 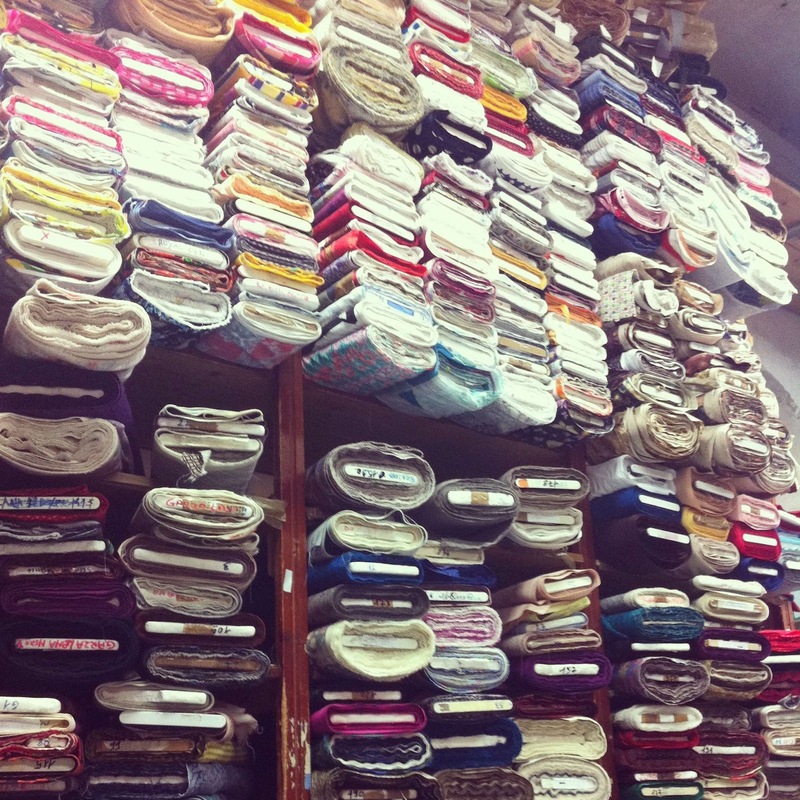 In this type of store people get all type of fabric with great quality and design. You have done great job.